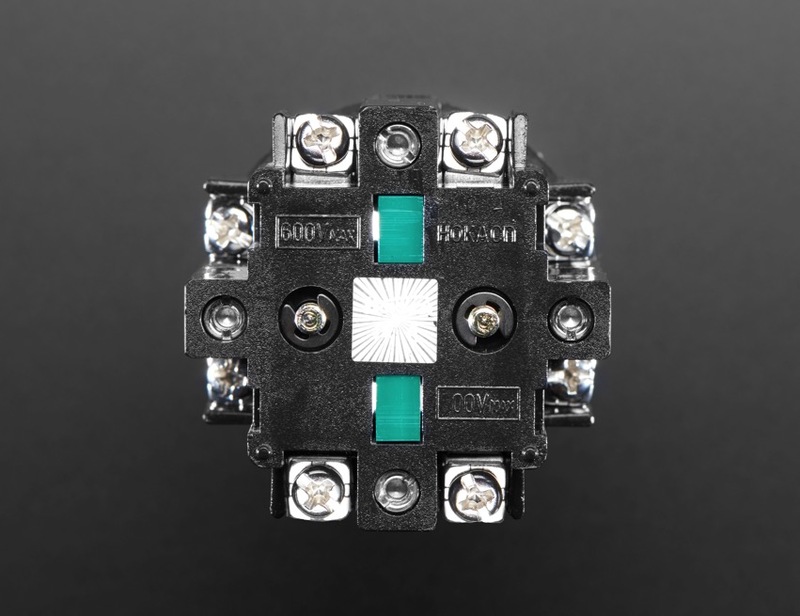 NEW PRODUCT – Ball Top 4-Way Rocker Switch « Adafruit Industries – Makers, hackers, artists, designers and engineers! The super-villain emerges from the grand entrance in a wicked, souped-up robotic spider. “Ah hah, so you’ve discovered my secret compound, Ms. Croft. How unfortunate for you that I control all the egresses…” She chortles (evilly) and presses forward on the switch installed on her armrest panel. 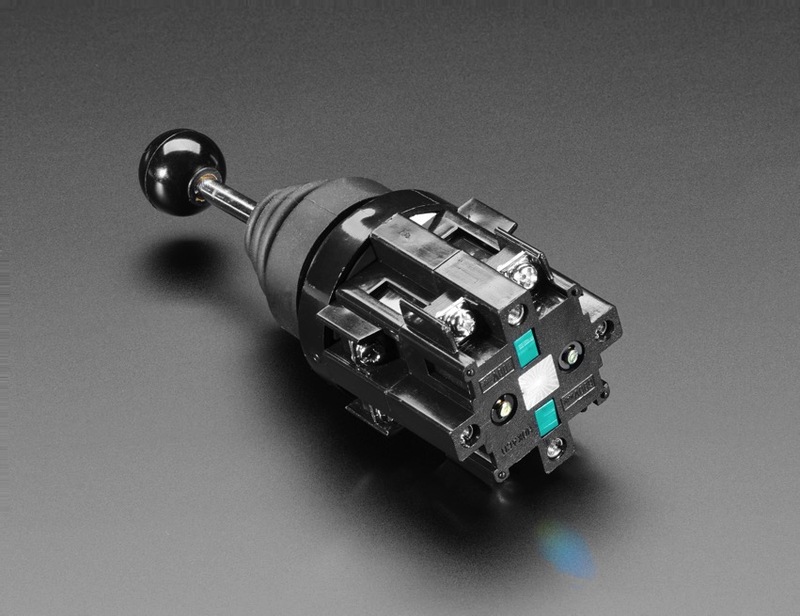 This is a very nice, hefty 4-way control switch, it looks a lot like a joystick but is decidedly heftier, and has built in clamping-switches rather than using microswitches. This makes it great for really big robotics and control panels, but it’s not as light and easy to use as a plain joystick. 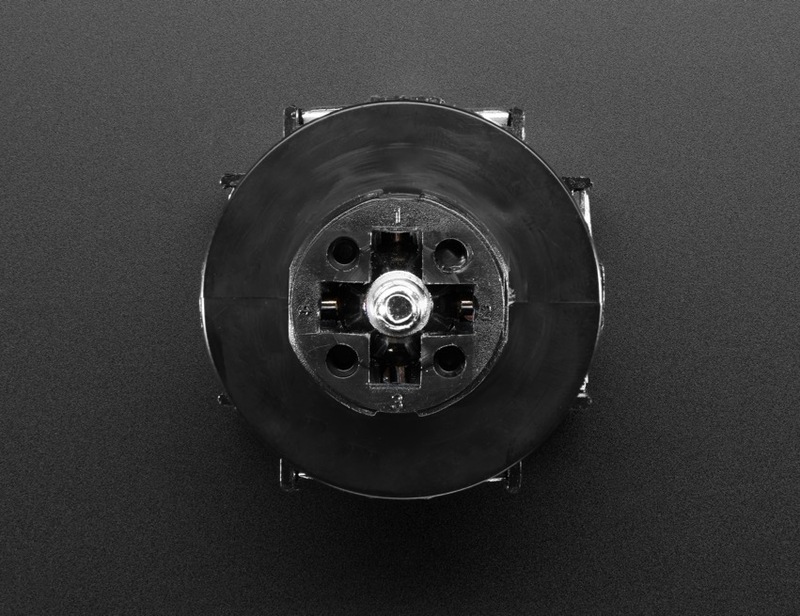 Also it has built in X retaining slots so you really can only move in four directions, you can’t rotate around once you’ve picked a direction like an arcade stick. 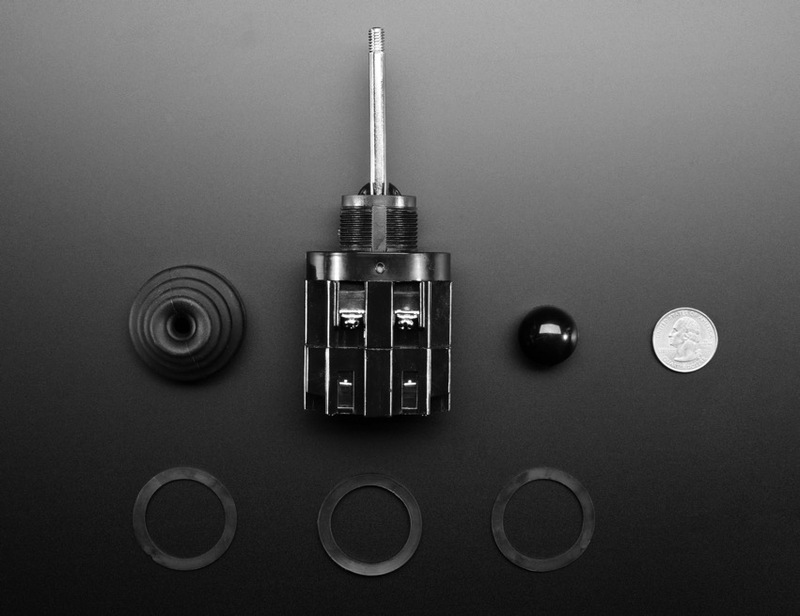 You can easily disassemble the switch enough to panel mount it, there are even a few gasket rings included. This way or that way, one or the other, perhaps or perhaps not! So hard to make decisions these days without feeling like you’re just going back and forth constantly. 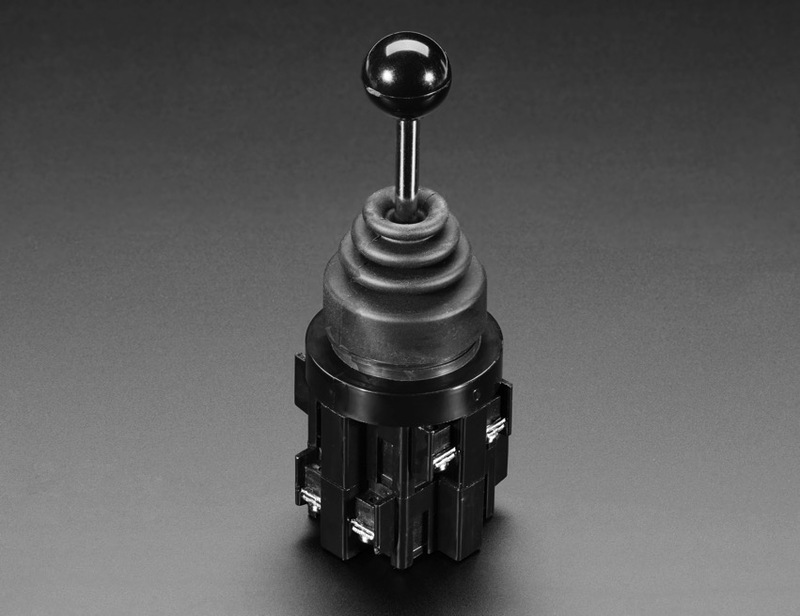 Deciding how to use this joystick-looking rocker switch? That’s the easiest decision you’ll make all day!